Diagnosis: Some passengers are not aware of the sequence being boarded at a given time. This results in some passengers being 1) rejected at the boarding counter causing a minimal, but still existent time loss in boarding time, or 2) being boarded out of sequence, likely causing aisle or seat-interference on board the plane, causing a loss in OTP for the flight. Solution: Ensure that passengers are aware of the correct rows being boarded at a given time. By showing the boarding sequence we give the passengers a constant feedback, letting them see which rows are being boarded at all times. The sequence intervention consisted of five slides. The first slide showed a boarding pass with a green circle highlighting the row number. The row number was highlighted in order to help passengers finding their personal row number on their boarding pass. The second slide showed the first boarding sequence. The slide was made green for salience. In order for passengers to see the slide at a distance it was simplified as much as possible, and the font size was maximized to the extent where it would not look ridiculous. The green color also mimics the green light of a traffic light signaling passengers to move forward. The other slides in the boarding sequence had the same basic layout. The last slide included the text: “Thank you for traveling with Norwegian – we hope you have a pleasant flight”. 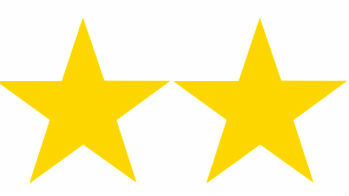 The text was added to improve customer satisfaction, and to signify that this was the last slide. The control measure, Orlando on September 21st, had 10 passengers who did not comply with the boarding sequence. During the intervention, JFK on September 22nd, 15 passengers boarded the flight before their sequence had been called. Looking at the results, the sequence intervention did not seem to have any effect. There are many possible reasons for this. 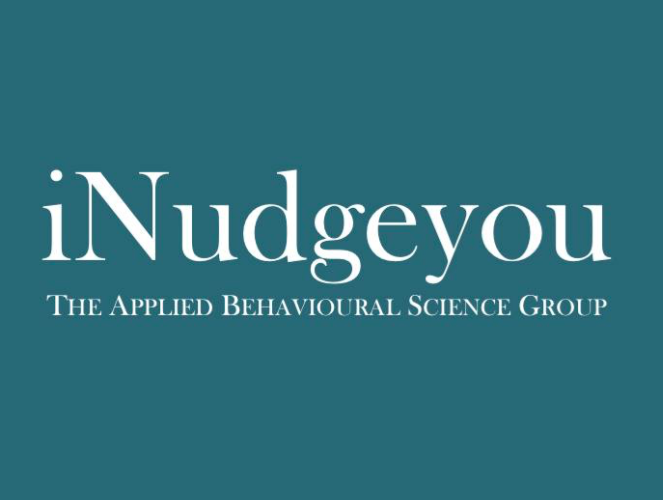 iNudgeyou were not able to account for passengers whereabouts during the waiting phase. Theoretically, some passengers could arrive after boarding had begun. If this was the case, they would see that the other passengers had started boarding which would prompt those late arrivals at the gate, to get in line, completely unaware that there was a boarding sequence. Even if those passengers would then see the boarding sequence on the monitors or hear the sequence being called via the speaker, they might not comply with the boarding sequence because they have already committed themselves to standing in line. It might be that once a person has committed to something and spent time on whatever this something might be, they are less likely to abandon that endeavor, which could be the case for the boarding sequence. 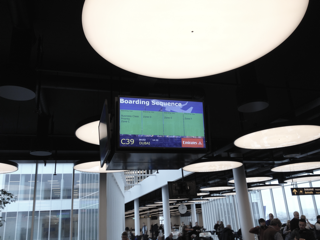 It might also be that passengers are more focused on the document intervention, which is situated on another monitor right next to the monitor showing the boarding sequence. All in all, the boarding sequence does not look as though it has an effect for this specific field experiment. There has not been given access to a full paper or report about this nudge.